Take a day trip from Missoula to explore what the rest of Montana's big blue sky has to offer. No matter which direction you are headed, there are treasures to be discovered around every corner. Yellowstone National park is the world's first National Park and is filled with unique geography, geothermal activity, and of course, lots of wildlife. Glacier National Park is known as the Crown of the Continent with more than one million acres and over 700 miles of trails. The Bitterroot Valley is just a short drive south of Missoula. It is an expansive valley filled with charming small communities. 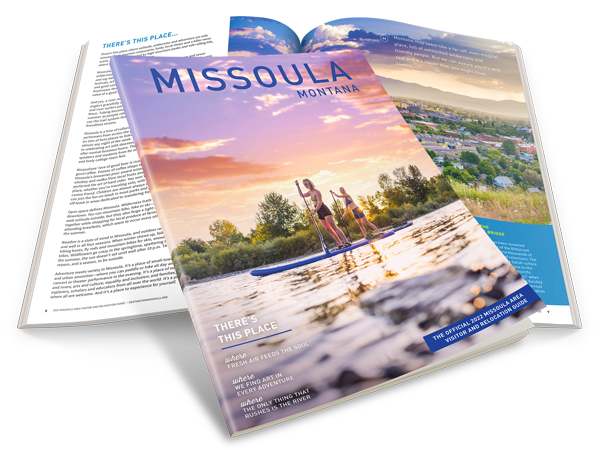 The Clark Fork Valley is a loop to the west of Missoula filled with small towns and scenic wonders. The Seeley Swan Valley is lovely valley nestled between the Swan Mountains to the east and the Mission Mountains to the west.